We are prepared for the rain! 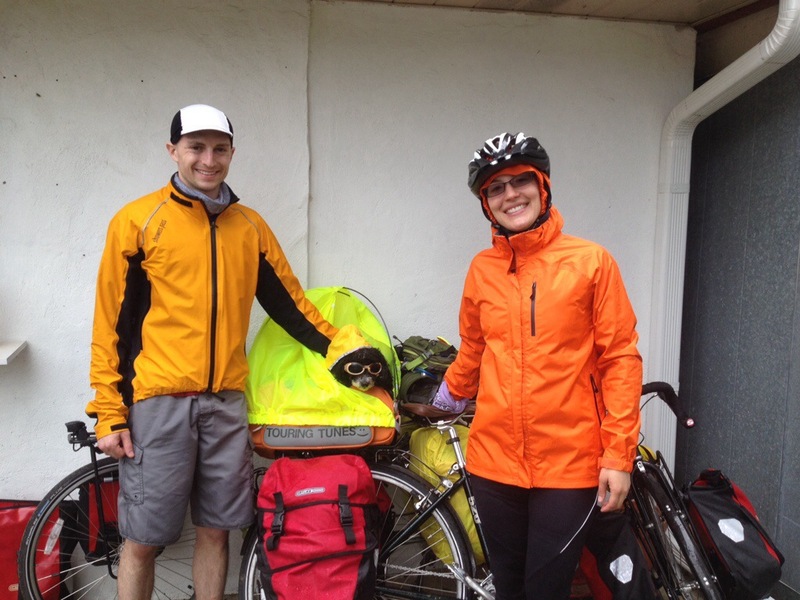 Several lovely people have already asked about our journey and shared their own bike tour trips. Today we stopped for lunch and recharging electronics at a pizza place along the trail. The staff there said we were the first folks this year who stopped in on their way across the TransAmerica route. Last year they met a man from Ireland who was doing the tour- we’re pretty sure it’s Garry– we met him while he was passing through New Jersey last summer. It’s a small world after all. I enjoy hearing about your travels. My human reads them to me and shows me the pics.